The Easy Grip Applicator Pad combines a comfortable base handle with ultra-soft Hex Logic foam to spread the perfect coat of any cream, gel, or paste. The ultra soft applicator pad easily spreads a thin, even coat of any Chemical Guys premium paste wax, synthetic sealant cream, or protectant dressing on paint, glass, metal, and leather surfaces. Normal applicator pads are made with porous foam all the way to the handle. Products seep to the grip with every use and get all over the user 's hands. 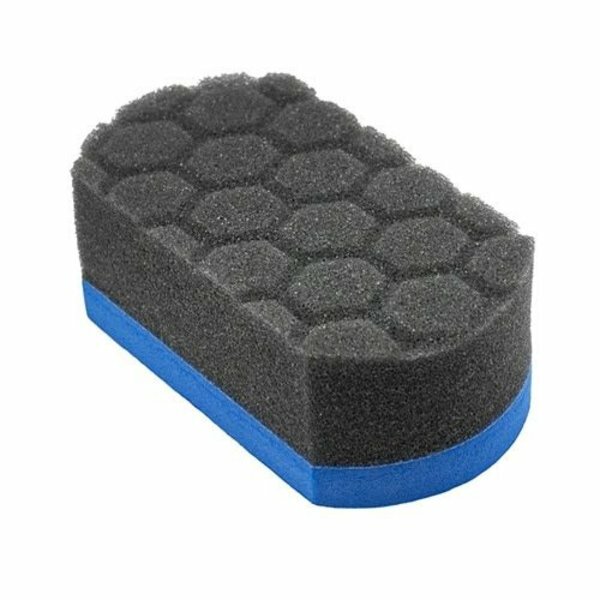 The Easy Grip Hex Logic Applicator Pad uses a dense core foam grip that does not absorb creams or liquids. This simple design keeps products off the fingers, and adds a stable base for comfortable and precise product spread on any car part. Use the Easy Grip Applicator for exquisite finishing touches on any job. Quickly protect and shine freshly-polished surfaces with premium glaze, sealant, and wax. Moisturize leather seats and door panels with leather conditioners and serums. 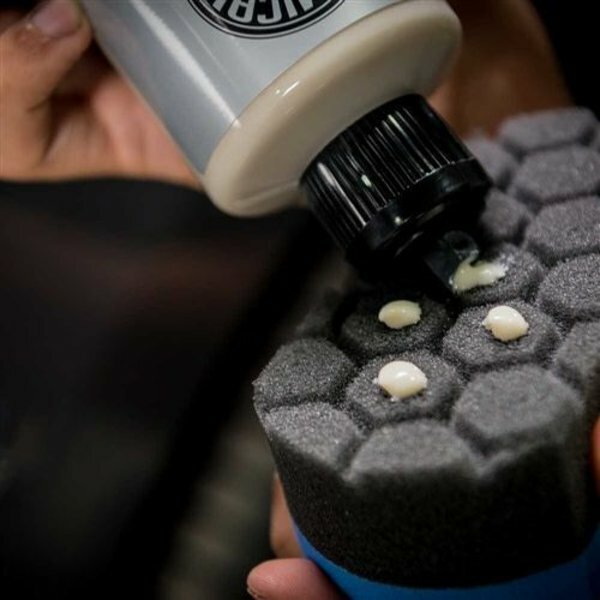 Choose The Easy Grip Ultra Soft Hex Logic Applicator Pad for comfortable, easy, and precise application of any Chemical Guys paste, cream, or gel product. Normal applicator pads use porous foam throughout their design. This flaw allows creams, gels, and any dirt and filth to soak through the entire pad. After just a few uses, normal applicators are practically unusable without getting filth and grime all over the user 's hands. 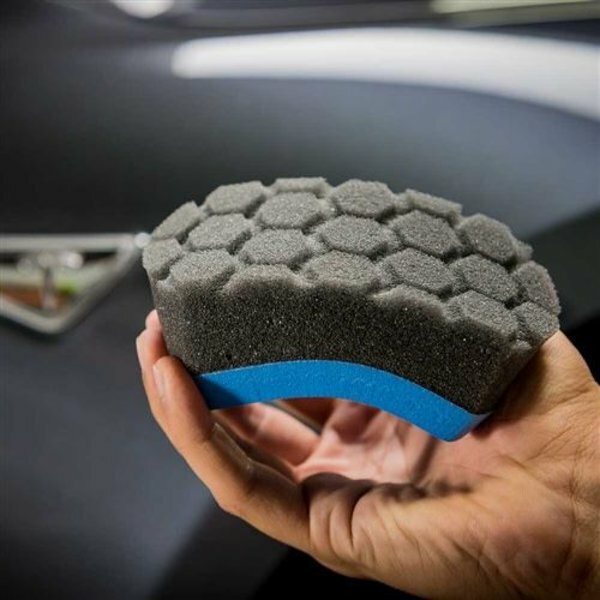 Chemical Guys Easy Grip Applicator Pads use a dual-foam design to separate the spreading surface from the gripping surface. Easily spread a thin, even coat of any wax, glaze, sealant, or protectant dressing over paintwork, polished metal, glass, or leather with the premium soft Hex Logic applicator surface. Grip the applicator from the high density foam handle with a secure hold for precise control and efficient transfer of swiping motion into the workpiece. The Easy Grip Ultra Soft Hex Logic Applicator Pad ensures 100% coverage and perfect results with no product bleed through or extra mess. 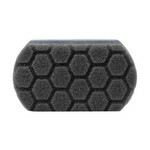 The Easy Grip Ultra Soft Hex Logic Applicator Pad uses plush foam for a scratch-free touch on any automotive surface. 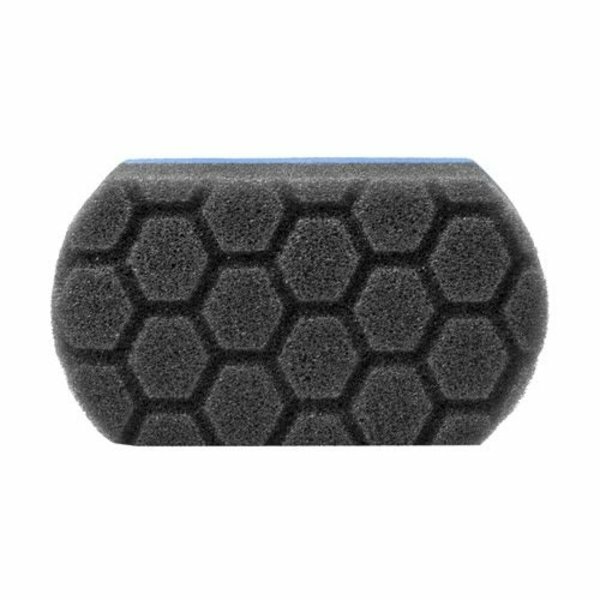 The extra soft high density foam is formulated with billions of tiny bubbles and voids that bend and conform the applicator to any shape it is pressed on. Less resistance from the applicator makes less friction on the paint, and drastically reduces the chances of scratching any sensitive finish. 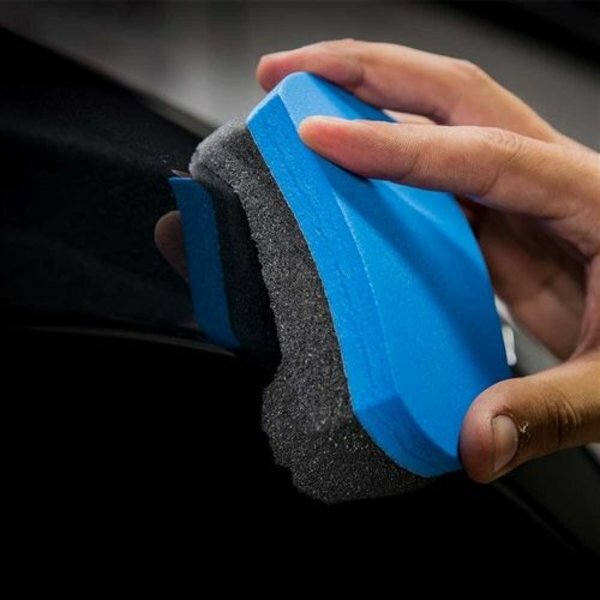 Use the Easy Grip Ultra Soft Applicator Pad to spread premium wax on any painted finish for a scratch-free shine with durable protection against the elements. The plush foam conforms to any curve, edge, and contour to ensure even product spread with no missed spots or excess buildup. 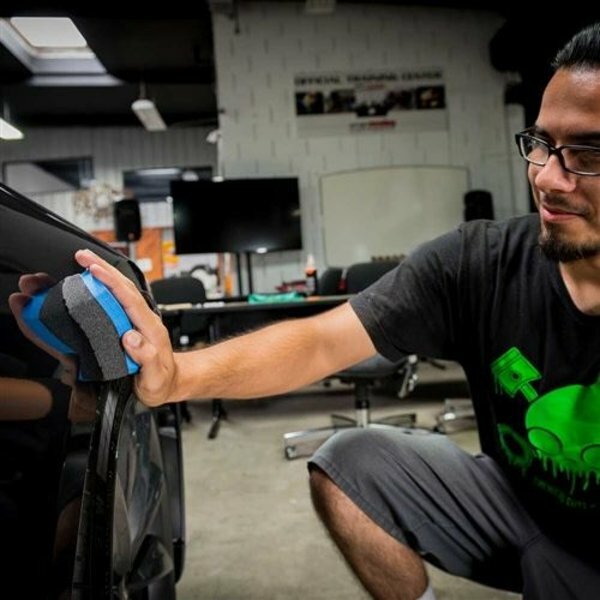 Choose the Easy Grip Ultra Soft Hex Logic Applicator Pad for waxing and protecting any vehicle, from the priceless museum piece, to the daily driver, or Sunday cruiser. The key to a perfect coat of wax is to use the perfect amount of product. Spreading too little wax leaves areas uncovered and unprotected from UV sunlight, pollution, and contamination that damage paint finishes. Spreading too much wax makes it more difficult to buff off and wastes product by bonding it over the wax itself, not the surface it 's protecting. Using a premium applicator like the Easy Grip Ultra Soft Hex Logic Applicator Pad saves product, time, and the surface from swirls and scratches. The easy-to-grip handle makes spreading and wiping quick and easy. The plush foam and Hex Logic grooves spread product evenly and efficiently with minimal waste and chances of scratching any painted surfaces. Easily spread any cream, paste, or gel coating over any painted surface, glass, polished metal, clear optical plastic, or leather or vinyl upholstery. 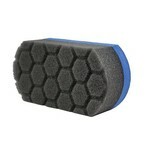 Choose the Easy Grip Ultra Soft Hex Logic Applicator Pad for the perfect spread and soft touch the professionals use.